The Antivirus is a very useful application for detect various viruses for protect data(s) computer or the Mobile device. It helps to keep the device safe from attacking the various virus threats. It is not needed to mention that how much important an antivirus for a PC or a mobile device. Now the Nokia users can get the free Antivirus V4.0 which can be download free of cost from the Nokia OVI store. Now the Antivirus V4.0 is available for download which is provided by NetQin and which support some of the selected mobile phones. It is supported by a Cloud-security model and specially designed for protect the Symbian devices against the latest viruses and the malwares. An overall security review, application manager and boot accelerator option is also available in the NetQin Mobile Antivirus V4.0 for the optimum performance. The version of this mobile antivirus is now available for free download from the OVI store. 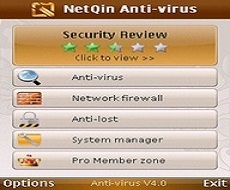 The NetQin Mobile Antivirus provides a lots of services and functions like anti-virus against Viruses and malware. It helps to keep your files and data in the device safely and it prevents the various threats from attacking your files. Through it one can backup the contacts of the phone with full guarantee of no data lost and protect the conversations. After all, the NetQin Mobile Antivirus provides the full security with its lots of functions and applications. Through it one can surf the net without any fear and problems. How to Download free Mobile Antivirus for Nokia Mobile : The NetQin Mobile antivirus is now available in the Nokia OVI store for free download for the selected Nokia mobiles. For download the same one should go to the Nokia OVI store by using the Mobile and the same will be available there for download. For download the same through PC, need to go to the Nokia OVI and can be download directly from there. Before download one can also check the compatibility for the same in the Nokia Cell Phone Selector. If you would like to directly install the same in your Nokia handset then you have to connect your device with an USB cable with the PC. Please remember one thing that you must have logged in to download any software or application from OVI store. If you have not the account then you may create a new account there instantly. Here is the link to download the Mobile Antivirus for Nokia Mobile phone. The NetQin Mobile Anti-Virus is available for download for most of the Nokia handset. One can check the compatibility for the same before download it. Through the mobile antivirus V4.0 users can safely surf the internet and the device will be safe with its latest and updated functions.